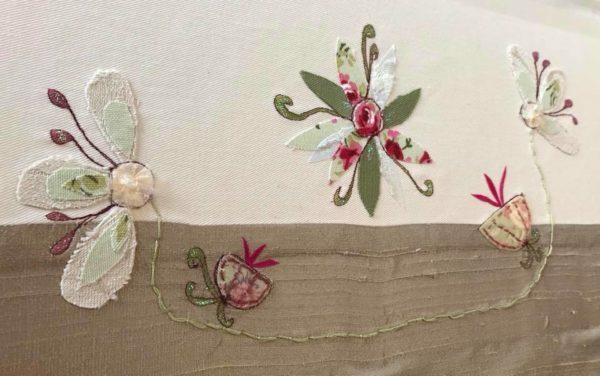 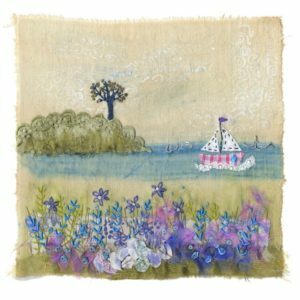 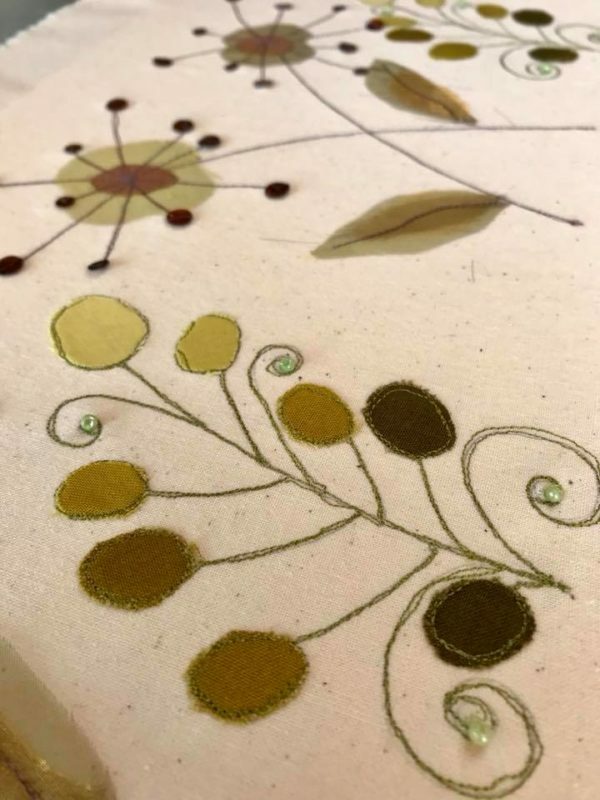 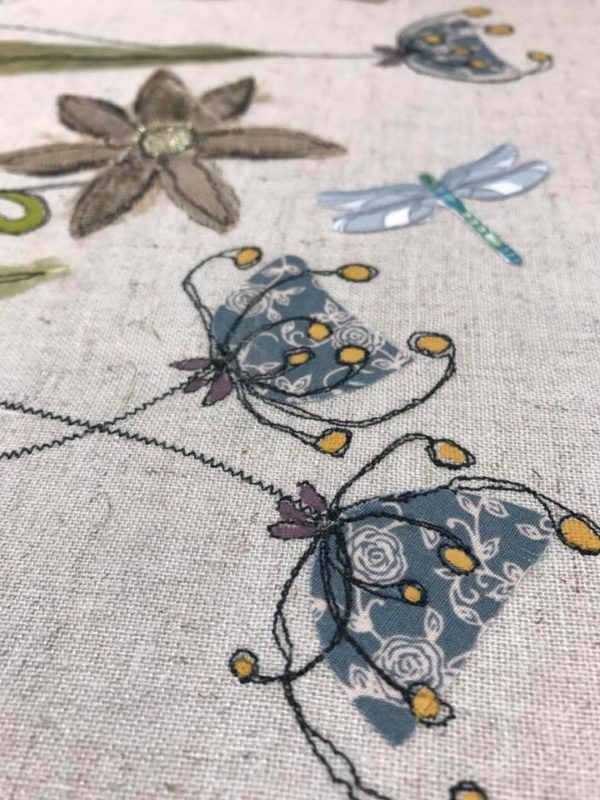 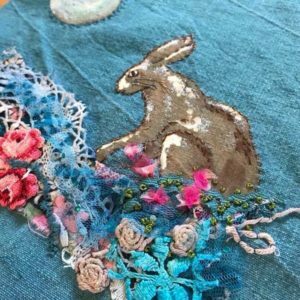 This is an exciting new workshop and just takes you one step further into that addictive world of machine embroidery. 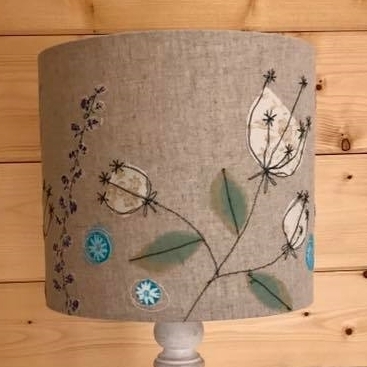 All materials and the lampshade kit for a 20cm drum shade will be provided, just bring your own machine. You will be using machine embroidery so make sure that you can drop the dog teeth and have the appropriate embroidery foot. 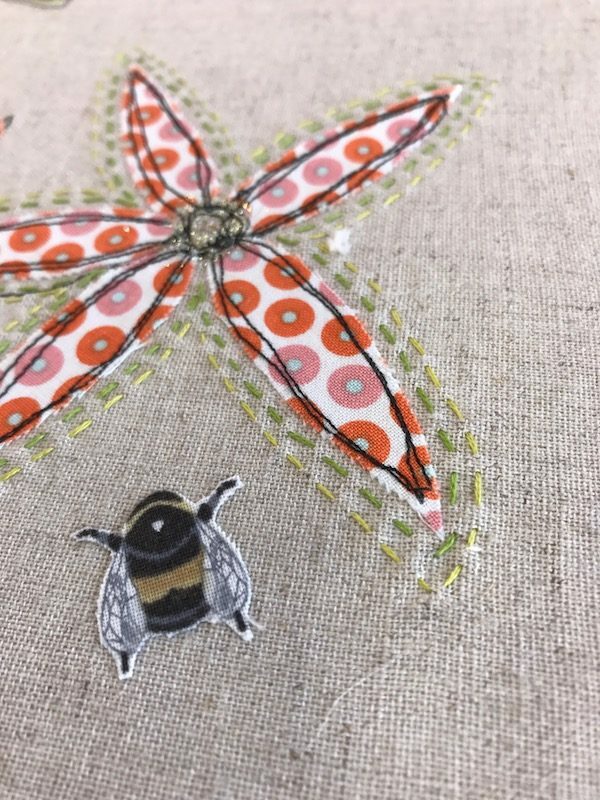 Once booked, more details will be sent to you. 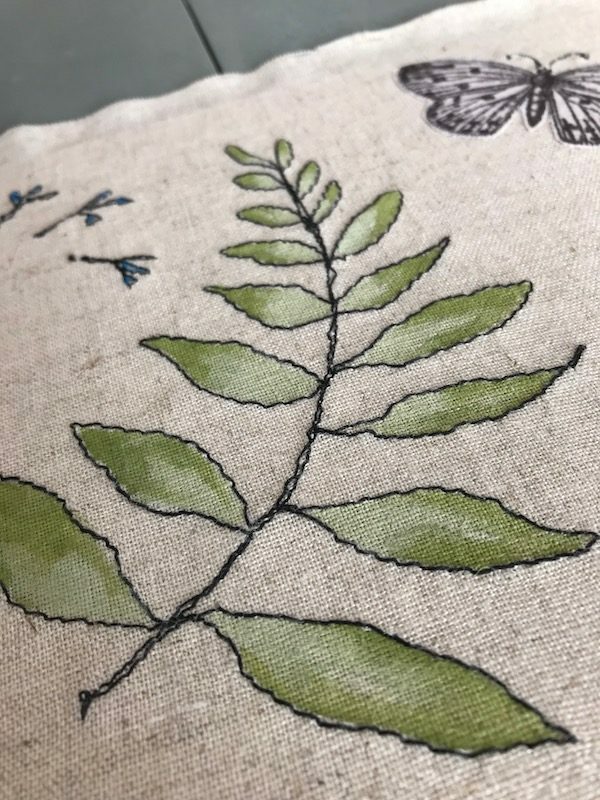 (If you prefer to use your sewing machine in the normal way that’s fine, you could even entirely hand stitch it if you prefer but would only manage to create a central design). 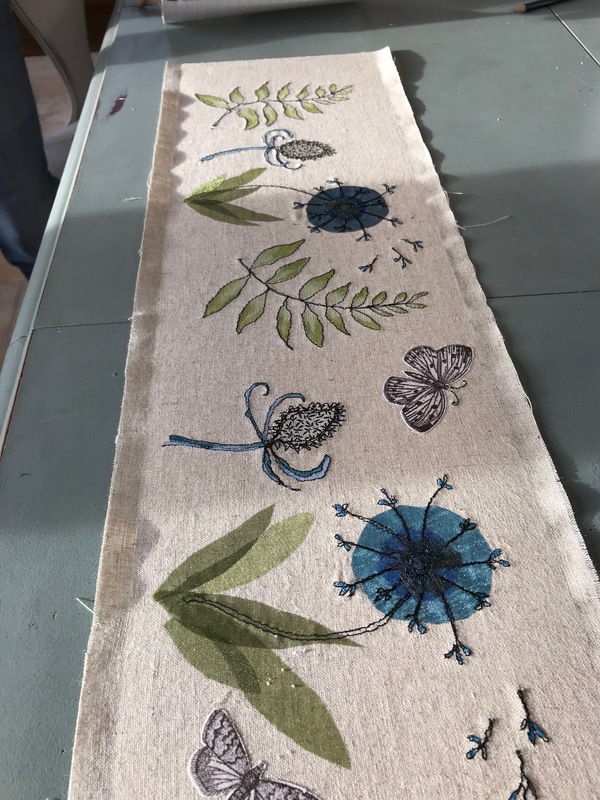 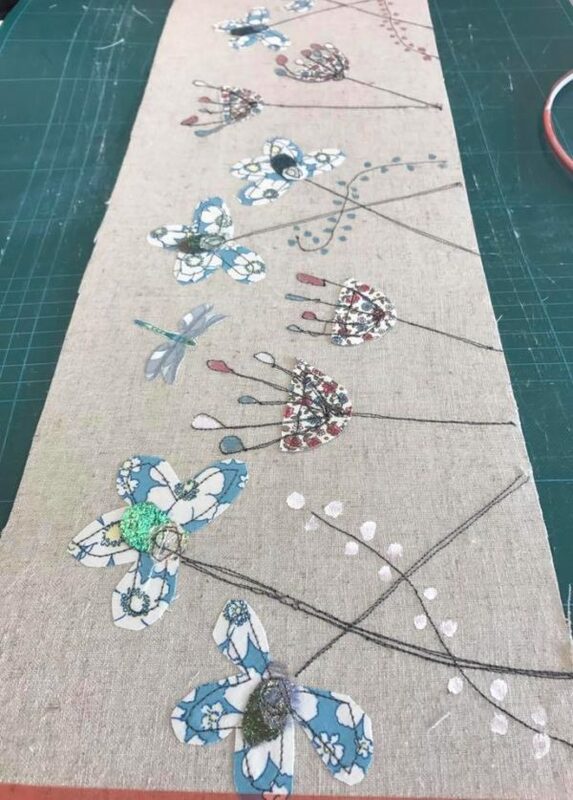 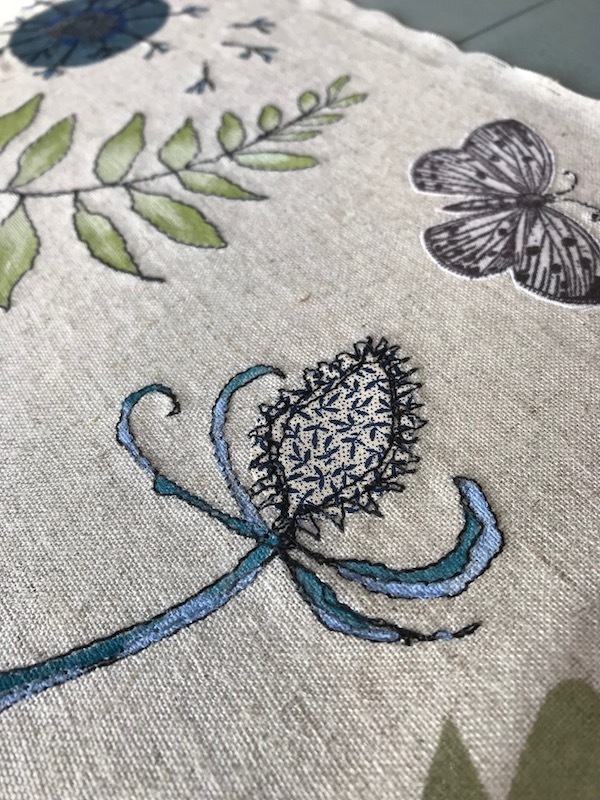 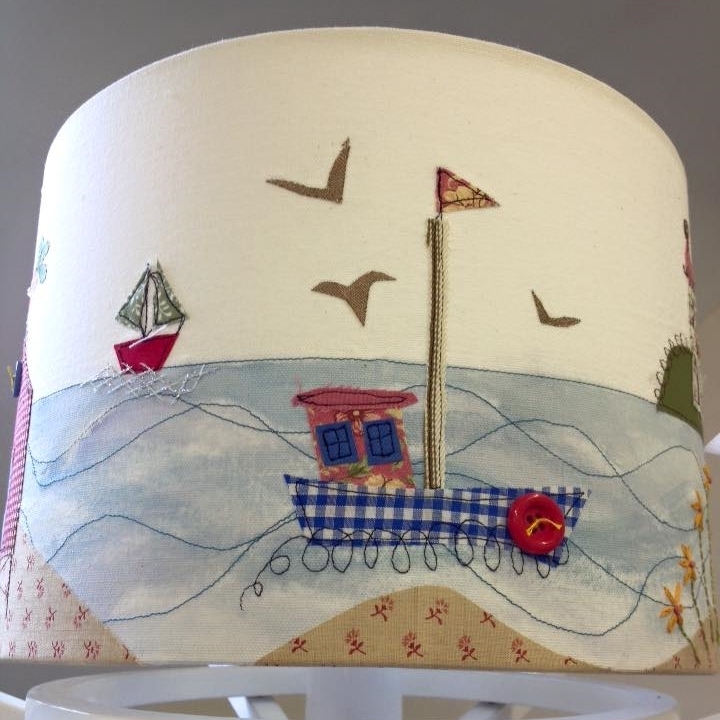 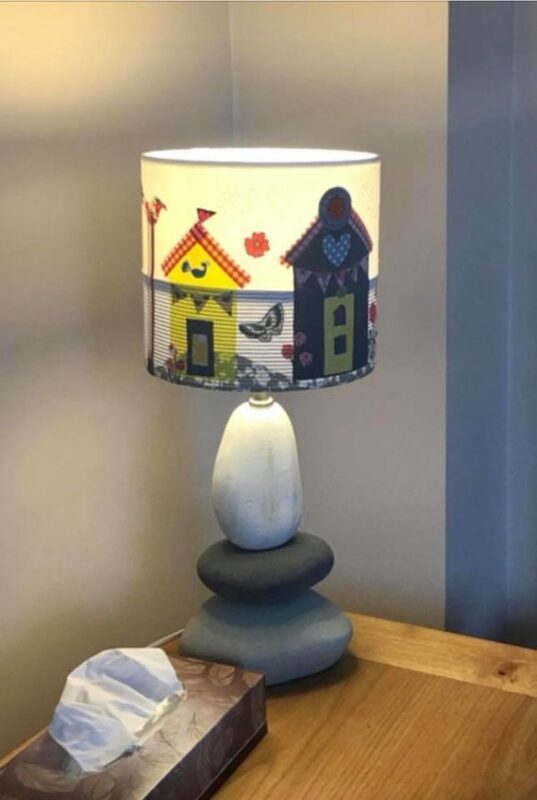 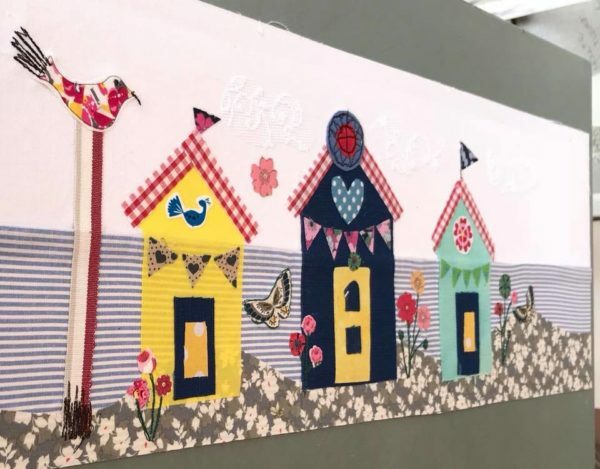 My designer lampshades will be there to inspire you and you will use your chosen templates to make your own bespoke version of the seaside, seed heads or washing line design . 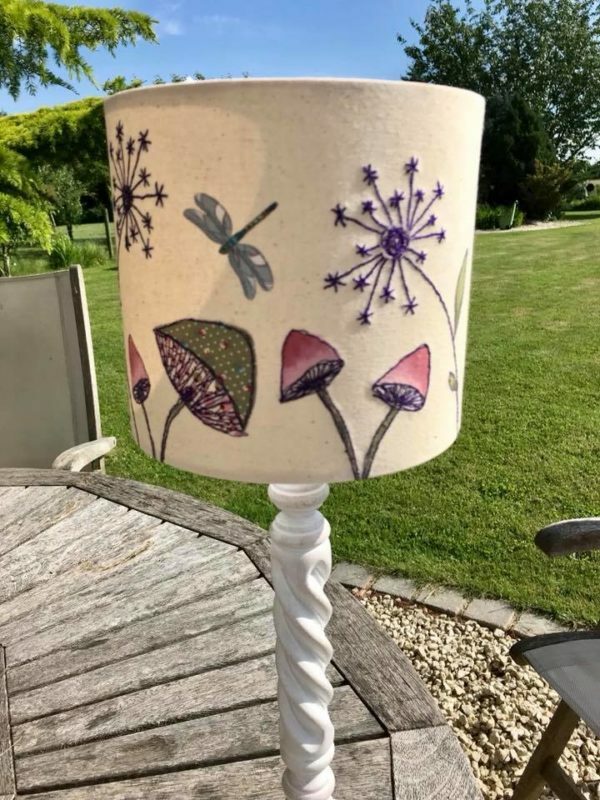 This is a two in one workshop as you will also learn how to make your lampshade up, no stitching involved for that part. 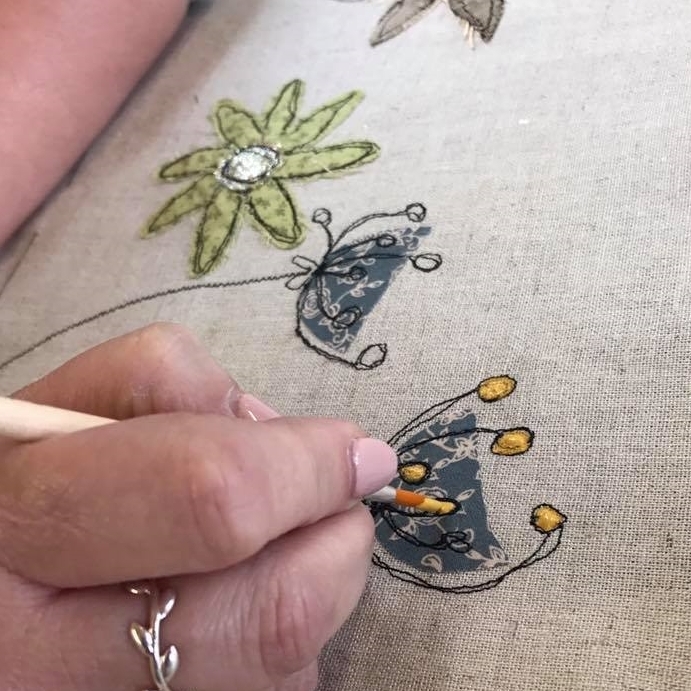 All workshops run from 10am till 4pm. 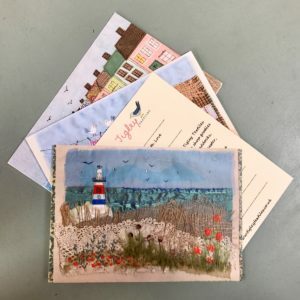 If the date you prefer is full and you wish to add your name to the reserve list, please fill in the contact form here.